Adults aren't that much different from children. Many people enjoy coloring later in life, which is why adult "stress relieving" coloring books are so popular. If you owned a Crayola 64-count box of crayons as a kid and love makeup now, you probably adore jumbo eye shadow palettes as well. 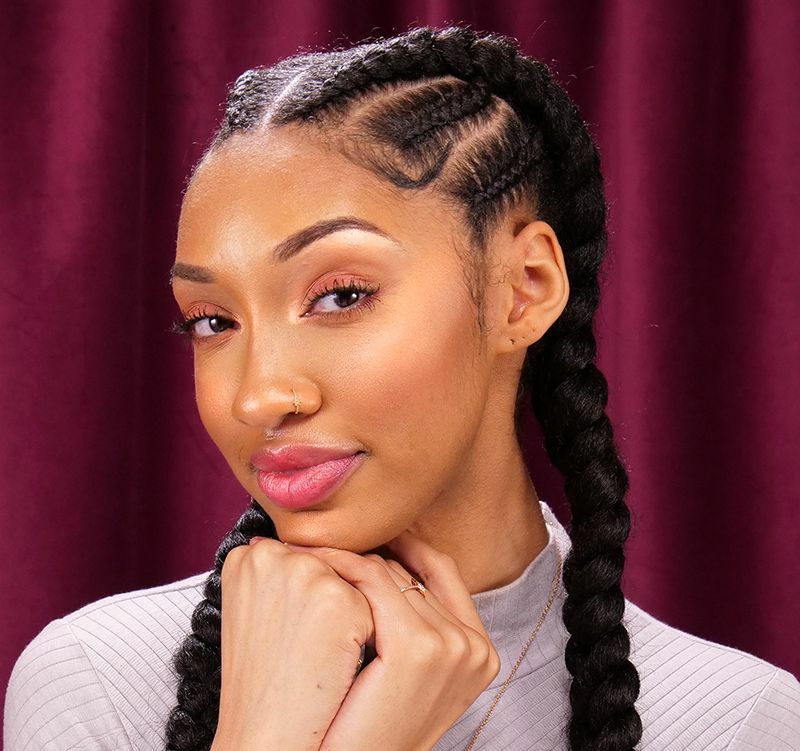 The Anastasia Beverly Hills "Modern Renaissance" palette featured in this tutorial is a wonderland of warm hues that look stunning on dark skin. Since the palette contains 14 colors, it can be hard to know where to start, but the video makes the process much easier. To achieve the best effects when applying eye makeup, you need to properly prime your eyelids, work with a cohesive color combination, and finish with mascara. The video demonstrates a simple warm-toned look that is both natural and captivating. 1. To achieve the truest color, apply eye shadow primer or liquid concealer on the entire eye area with a flat concealer brush. 2. Wipe the brush gently on the towel to remove excess residue. 3. Once the primer or concealer has dried, apply a thin layer of setting powder over the entire eye area with a fluffy blending brush. The powder will set the primer and prevent the natural oils in the eye area from making the eye shadow crease. 4. Apply brown eye shadow in the crease and slightly above it with the fluffy blending brush. 5. 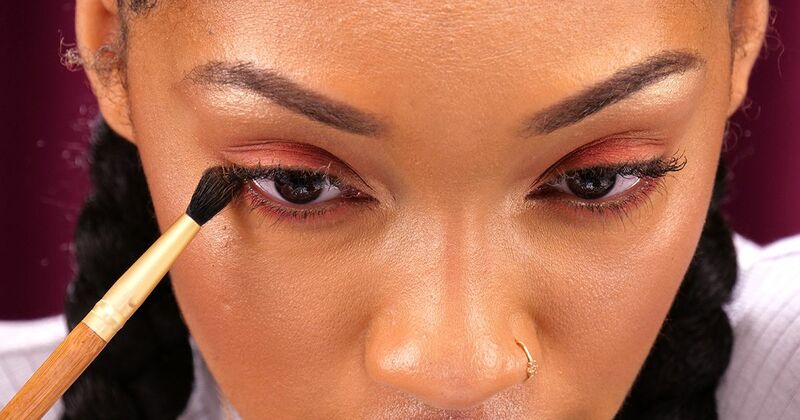 Apply orange-brown eye shadow on the lid with the small eye shadow brush. Tip: Hold the brush in the middle of the handle for the best control. 6. To bring light and brightness to your eyes, apply peachy-gold eye shadow near the tear duct and below the arch of your brows. 7. Apply orange-brown eye shadow below the lower lashes. 8. Sweep black mascara on the upper and lower lashes. For more volume and intensity, add a second coat, if desired. You're all done! This is just one of many looks you can achieve with a large eye shadow palette. Feel free to get creative once you've mastered these basics.